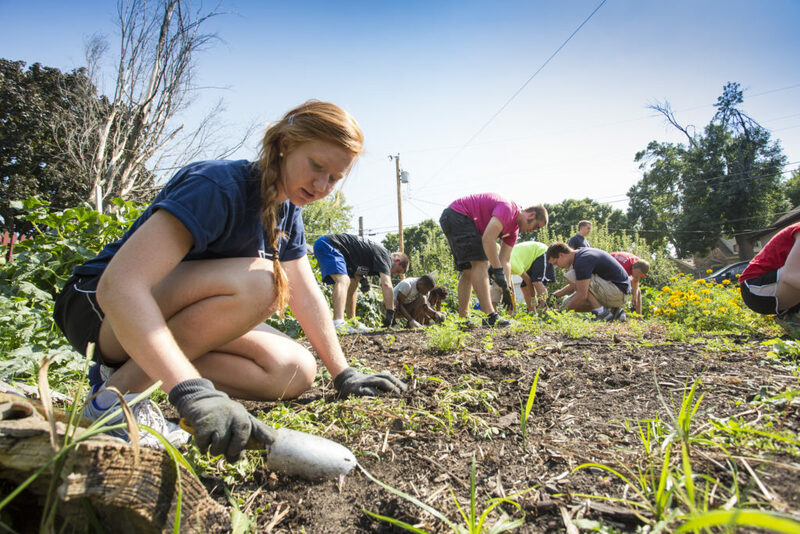 Community-based learning enhances typical coursework by encouraging students to apply the knowledge and tools gained in the classroom to issues affecting local communities and to topics that are of significant public interest. For years Macalester has brought together faculty, students and community organizations to conduct research on issues such as poverty, immigration and health care. Faculty members report that courses with community-based learning components encourage students to think creatively and to discover the meaning and relevance of their work outside the classroom. Students work with faculty members and community organizations and leaders to develop research projects, collect and analyze data, and share their results and conclusions with the organizations and their professors. Research projects are driven by the work of the organization, but they are also academically related to the class. Not only does the community benefit, but students also greatly enhance their understanding of the subject matter.